Emma: Rob, Like me, you’re a huge supporter of the work of Ray Peat PhD. What was the main thing that drew you to his research in the first place, and nutritionally, what do you see as the most important ‘Peat’ principles people should adopt for improving their functional fitness? Rob: When I started reading Dr. Peat’s online newsletters, I was actively seeking out new information because I wasn’t satisfied with my health at the particular time. His writings related directly to my personal experience so as I read more I was able to connect many variables and how they were all contributing to adverse outcomes. The evidence-based, counterculture message in the newsletters provided me with hope, a fresh perspective on nutrition, and motivation to read and research further. Often people make the mistake of restricting food intake excessively when increasing energy expenditure via exercise, forcing the body to have to use itself as fuel to meet energy demands. Trainees can lose scale weight with this method over the short term, but the chances of maintaining health are lessened over time because with that strategy the body will sacrifice health for survival and lower the resting metabolic rate (RMR). I feel that Dr. Peat’s most important nutritional principles are to choose clean, nutritious, and historically relevant foods that are low in phytoestrogens, goitrogens, and polyunsaturated fats and have minimal contaminants (like carrageenan) or preservatives. Exercise increases the need for protein and carbohydrate. Carbohydrate provides the substrate (glucose) cells use to make large amounts of energy. Additionally, carbohydrate spares protein from being used to making glucose, improves recovery and performance, and blunts sympathetic nervous system activity. Adequate animal-derived protein supports repair or growth of the damaged muscle tissue. Dietary fat can be added or subtracted from the diet in relation to caloric needs. A high ratio of dietary saturated fat to polyunsaturated fat protects the body from excessive inflammation from any stress including exercise. A medium raw carrot or boiled bamboo shoots consumed daily are special foods that help to lower the burden from intestinal toxins. Emma: Do you see there being a better time of the day to exercise? And why is it so important to avoid exercising on an empty stomach, especially first thing in the morning? (I see so many people hesitant to ditch this habit (exercising on an empty stomach a.m.) as it’s such an easy ‘weight loss’ method, but catabolic). Rob: The best time of day to exercise is in the afternoon when the body temperature and pulse rate are highest, and we are the most resilient to stress. We are least efficient upon waking prior to eating when the blood sugar is low and following sunset when the body temperature and pulse rate begin to fall because of the anti-metabolic effects of darkness. Seasonal variations also reflect this concept; our body can handle more stress (from training) when the daylight hours are long during the spring and summer compared to the winter and fall. From a health perspective, fasted exercise isn’t recommended because it gives the body a survival signal – food availability is low, you’re starving, and the environment is stressful. For long-term health and weight management, trainees want to give a thriving signal – the overall environment is not stressful, and there is an abundant, nutritious food supply. Stored fat is released when glucose availability is insufficient to meet the body’s need. Compared to stored fat, we don’t store much sugar (glycogen) so when the liver’s supply is depleted, like it is upon waking, the body becomes more dependent on the use of stored fat for energy and the conversion of the body’s protein into sugar. The fatty acids released during fasted exercise and the hormones that facilitate the adaptive processes protectively lower the metabolic rate to prevent the rapid conversion of the body’s protein-containing tissues into sugar. The resulting thrifty metabolism is ideal for when food is in short supply, but in modern Western life this isn’t usually the case. If the metabolic rate stayed elevated during actual starvation, the individual would perish as glands and organs were eventually consumed to make glucose. Emma: What do you think of the old calorie-restriction, exercise-max, reductionist view of weight loss, like what we see in the extreme on The Biggest Loser, and the idea of exercising to ‘burn’ fat? Rob: The show’s agenda is to attract viewers and get good ratings. Considering how long the show has been on the air, it appears to be doing a good job of that. The Biggest Loser doesn’t represent realistic nor sustainable methods of exercise and weight management. The combination of being on TV, peer pressure, weighing contestants each episode, and offering a cash prize encourages inappropriate measures to be taken in the effort to stay on the show. Caloric restriction and vigorous exercise suppress the RMR even when fat-free mass is preserved Exercising frequently to exhaustion causes similar problems. The end effect is a greater likelihood of regaining lost weight unless the unsustainable lifestyle is continued indefinitely. The fitness industry often takes advantage of survival systems that provide energy to keep us alive when food availability is low or when the need for immediate energy is required, like when fleeing or fighting a predator. The sympathetic nervous system orchestrates the mobilization of energy during emergencies. This mobilization of supplemental energy is highlighted by the release of stored sugar (glycogen), the release of stored fat, and the conversion of protein-rich tissues into glucose with the help of the liver. Drawing on emergency resources too often compromises immunity: harms parasympathetic functions like sleep, digestion, and sexual function; and drains energy and hormone reserves needed for adaptation to future stresses. The use of stored fat (lipolysis) during stress is attractive to the fitness industry because fat loss is what many trainees are after. What a person has eaten for the previous few years will determine how good of an idea this is. When the fatty tissues are low in polyunsaturated fatty acids, the stress response is self-limiting. When they are rich in polyunsaturated fats, the stress-induced “fat burning” strategy will backfire over the long term. As the tissues become more unsaturated with aging or due to poor food choice, the response to stress progressively shifts from adaptive to dysadaptive, making the body increasingly less capable of handling future stresses without producing inflammation, a decrease in the resting body temperature, and other unfavorable effects. I feel we should view obesity and degenerative health problems as expressions of a collapse of cellular energy production. Diabetics, older people, and the obese are biased towards using fats for energy, blocking their ability to use glucose efficiently and creating an energy deficiency. For the obese, the primary objective shouldn’t be to “burn fat” but to restore the cell’s use of glucose in order to correct the energy deficiency and enhance the physiology. Special consideration should be given to the needs of the mitochondria and thyroid system. Emma: Are there times where with some clients in certain conditions you don’t recommend exercise at all? Rob: The analogy I often give for this scenario compares a one lane road to a five lane freeway. When our health is robust, stimulation or stress is easily handled. Even if we’re knocked out of our lane, there is still more road available to keep the physiology stable and on the paved freeway. However, sometimes a health situation is so fragile that even small amounts of stimulation from any source can push someone into instability. The more fragile person is on a one lane road, and there isn’t much room for error before he/she gets knocked off the stable, smooth road and into bumpy territory. Generally, a person’s body will give them the feedback that it’s time to put traditional exercise methods on hold for a time. Decreased tolerance to stress or exercise, slowed recovery, accelerated time to fatigue, chronic aches, sleep problems, low libido, and poor digestion are endocrine warnings indicating that changes need to be made. When a person isn’t reacting well to exercise, reduce or eliminate training and switch the focus towards improving the resting body temperature and pulse rate, decreasing stress burden, and eating nourishing foods that restore energy reserves and hormone balance. Walking is usually a safe exercise option. Emma: For the non-professional athletes who just enjoy exercise, maybe have a history of dabbling in all the usual activities: running, gym, cycling, swimming, spend most of their day in an office and want to get maximum benefits with the limited time they have, what do you see as the most effective (and least destructive) work out? Rob: Movements that offer the most bang for the trainee’s buck are my focus when time is limited. These movements include press, squat, deadlift, lunge, and pull-up variations along with gymnastics strength movements and sprints. When lifting weights, actively engage and feel the muscles being trained while taking the muscle through a full range of motion. Using loads you can lift with good form and control between 8 to 20 times per set will signal to your body that it needs to keep its lean tissues. The fewer number of reps you chose per set, the more sets you will need to create an adaptation (and vice versa). For instance, 6 sets of 8 reps versus 3 sets of 20 reps. Keeping set duration under 40 seconds helps limit the accumulation of lactate. Make an effort to practice nasal, diaphragmatic breathing as much as possible while training. Sessions should stop when energy level or performance noticeably drop to prevent an excessive rise in muscle-wasting hormones. You should feel good before, during, and after the session not exhausted or sick. 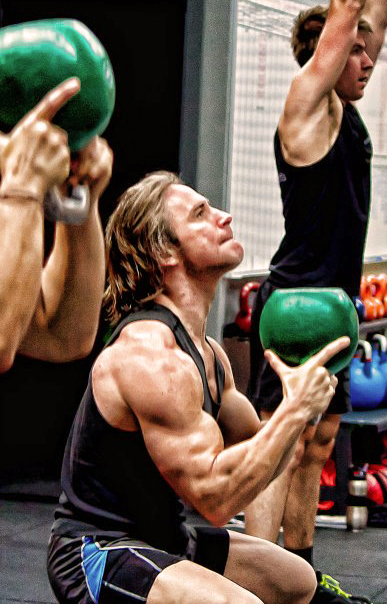 If you’re looking to reduce destructive effects of resistance training, favor the concentric portion (usually the raising phase of most lifts when the muscle shortens) over the eccentric portion (usually the lowering phase when the muscle lengthens). The eccentric phase is mostly responsible for muscle damage and soreness. Tire flips, sled/car push and drag variations, and medicine ball throws have little eccentric loading and allow the trainee to use them frequently without soreness. Bumper plates allow trainees to lift loads and drop them safely. Data suggests these type of movements (“eccentric-less”) support the restoration of important energy-producing structures in cells (mitochondria). Doing enjoyable activities (with friends), especially outside when the weather is nice, are great ways to be active. Walking complements the resistance training by accelerating fat loss and increasing the non-resting energy expenditure without being too stimulating. I would avoid long duration endurance training except for walking. Exercising at high altitude (once adaptation occurs) is less stressful overall than exercise at sea level. Emma: As a nutritionist, I see the long-term benefits of one-on-one private consultations, to tailor dietary advice to the individual based on their particular needs. How beneficial do you see one on one physical training as opposed to groups? Rob: A useful component of group training is the friendly competition among trainees. Group session rates are lower than one on one, making training with a professional more affordable. The group model can be very successful in a collegiate or professional team setting when the population is experienced. Inexperienced trainees require more coaching and attention that sometimes isn’t available in a group setting. I personally prefer the one on one coaching model, and that is how my private training facility has been set up. I start with assessment and then formulate a plan based on client goals and the information discovered during the assessment. The major elements of fitness program design are specificity, progression, and overload. These are best met by one-on-one training. Emma: I hear it time and time again, with clients who “work out” a lot, especially from men, regarding weight loss they mention “you need to do ‘cardio’ to lose weight“. These men commonly have a muscular and “ripped” looking physique, with a low resting pulse, high cholesterol, skin ageing and other symptoms of high stress and low thyroid. As a trainer, what’s your response to men and also women like this (and those striving towards this look through increased cardio/aerobic exercise, usually along with a low carb diet) and the implications to health and metabolism of this approach? This philosophy values the resting metabolic rate because it’s associated with youthfulness and valuable to survival, regeneration, and longevity. Exercise and competition produces many hallmark substances of stress. It’s the repeated training stresses that produce the physique and performance changes. However, too much training stress, just like all stressors, lowers the metabolic rate. While the lean and muscular look is valued by society, it doesn’t necessarily improve health especially if the trainee took extreme, prolonged, or unbalanced tactics to get to that point. Where are the long-lived professional athletes? The recovery rate for these are variable and person dependent. But no one in the fitness industry is seriously paying attention to metabolic recovery; that is how you get high-performing athletes or fitness junkies with a near hypothermic metabolic rate. The assumption is that if I’m getting leaner that metabolism is improving. This is not always the case. The stress of training produces muscle and performance adaptations that appear outwardly as favorable, but the cells can suffer energy deficits, inflammation rises, and efficient metabolism slows. These adverse changes can show up as objective measures and subjective symptoms that athletes, trainees, or doctors don’t realize are from drops in metabolism caused in part from exercise. * Rob writes a brilliant blog and facebook page on which he posts regularly with an abundance of fascinating research and helpful tips. If you haven’t already, “Like” it! 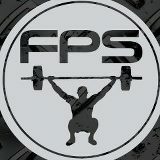 If you’re in the South California area, you can contact Rob for personally training at Functional Performance Systems. Rob also coaches clients via Skye around the world in his evidence-based lifestyle and nutritional foundations. Thank you Emma and Rob for the information you provide on your respective blogs and these two posts. I have a question about optimal time to exercise, hope you can provide an answer. I’m one of those people who works out in the morning, primarily because I’m a morning person but also because the only times I can fit in a workout are before (early am) or after work (in autumn/winter that’s well after sunset). If you say the optimal time to exercise is the afternoon, what would you recommend to me if I can only work out before or after work – morning or evenings? Hi Silvana, It really depends on your own metabolism, and when your temperature is naturally higher. Earlier afternoon would be best (when most people hit their peak basal temp) but if it isn’t possible for you to do your exercise then, evening might be better than early morning. Hi! Is air popped popcorn A-ok for a snack? What are your thoughts? A no-go because it’s a grain? It’s about the best ‘grainy’ snack Kelsey; just make sure to eat it with plenty of melted butter or coconut oil (saturated fat is protective against starch) and have it as an occasional treat. But it really depends on the individual: some people do fine with popcorn every now and then, while others feel terrible with it (if their digestion is severely impaired and endotoxin levels high). The trickiest thing is finding an actual lamp that holds it; you may have to ask around at specialist lighting stores. Very nice and informative interview for the body making people.